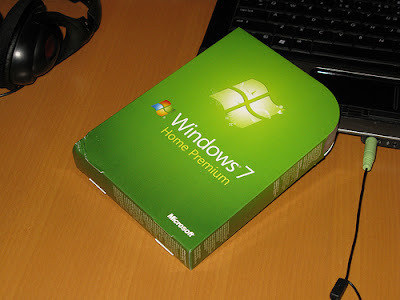 With the launch of windows 7 we have witnessed one of the fastest operating system by Microsoft.But still there are people who want more and more!.This article is for all those people who want to increase the performance/speed of their windows 7 operating system. We are giving you tips and tricks to tweak your windows 7 according to your needs and you will certainly get your desired performance from your windows 7 operating system.Here is the step by step tutorial with screenshots on how to increase your windows 7 speed . Windows startup services can be found by clicking on start and the and typing “ msconfig ” and pressing enter.Now click on services tab.Now you can disable the unwanted services by checking them and clicking on disable.While this should be done according to your requirements.Services like “Offline Files,” “Tablet PC Input Services,” Terminal Services,” “Fax” and “Windows Search. “Offline Files,” “Tablet PC Input Services,” Terminal Services,” “Fax” and “Windows Search have a large impact on windows 7 speed/performance. Microsoft introduced readyboast service with the launch of windows vista and continued the service in windows 7.In ready boast service whenever you plugin your pendrive into your computer you will get an option to use your pendrive to speed up your windows 7 or windows vista.It will increase your windows memory.By using ready boast you can also specify how much memory of the pendrive should be used to speed up your windows 7. Disabling the windows 7 transparency option will certainty give a good speed to your windows 7 speed/performance.Disabling transparency is very easy in windows 7.Simply right-click on your desktop, select “Personalize,” choose the active theme and then navigate to “Windows Color.” Finally, uncheck the “Enable Transparency” option. Disabling unwanted programs such as messengers or other programs from startup will not only increase speed of your windows 7 it will also decrease the startup time of windows 7. To disable unwanted features from windows 7 click on “ Start “ then on control panel.Now click on “ Programs “ then on “Turn Windows features on or off”.Now disable the features you think you dont want.We recommend you to disable the “ Indexing Service “ it will have a noticeable effect on the speed. Adding and deleting files from drives will make your drives fragmented and it will take longer to access files so defragmenting the drive will decrease file access time.To start defragmentation click on “ Start “ and type “ Disk Defragmenter “ And press enter.Now start the defragmentation.